Last night, in New York City, the powerful and wealthy gathered to re-crucify Christ and His Church. Christ, in His Church, was once again mocked, spat upon, and degraded. The Met Gala, "Heavenly Bodies" was eerily similar to the original Crucifixion. Just as there was, 2000, years ago, the High Priests of the one, true Church involved in crucifying the Messiah, so too, Timothy Cardinal Dolan, - as the representative of the real and true Israel, was busy re-crucifying Christ with his support and presence at this blasphemous "Heavenly Bodies" event. Making matters worse, the Vatican itself was and remains heavily involved in this event. A number of items of clothing were sent from Rome, including, vestments worn by Pope Benedict XIV. Museum curator, Andrew Bolton (a practicing homosexual) was in Rome ten times over several years selecting vestments for the Met display. He had the gaul to refer to the holy Blessed Pius IX as being "a bit of a dandy". Just as the Jewish Sanhedrin were involved in crucifying Our Lord, so too, the organizers at the Met Gala were Jewish: Ana Wintour, Editor of Vogue, and multi-billionaire Stephen Schwarzman, also known as the "man who owns New York", put up the money. These descendants of Our Lord's traditional enemies, were joined by the opportunistic and amoral descendants of the Roman soldiers who spat upon, assaulted and mocked Jesus: "celebrities" attired in blasphemous, mocking, and obscene clothing. Dear friends, things will continue to get worse. We are seeing the wrath of God being poured out upon a disobedient and sinful Church. The worst punishment God can send is wayward churchmen. Bad priests are a clear sign God is very angry with His Church. This punishment is bringing the various local churches of the once Christian West towards near total collapse. What are we to do? I would recommend readers to obtain a copy of Dom Chautard's "The Soul of the Apostolate". This book, which St. Pius X kept by his bedside, advises us that the true Christian life is lead by example, conversion happens, when we live a holy life. That is how the ancient Catholics of Rome defeated and converted the most powerful Empire and war machine the world has ever seen. Not through hate, not through rage, not through anger. But through love - true love - and the laying down of one's life for Christ. I pray - and I ask you too do so as well - for Cardinal Dolan and the men in Rome who participated in this blasphemy and mockery of Our Lord. Just like the High Priests, theirs is the greatest sin. I ask you too, to pray for the conversion of those other deluded souls, Jew and Gentile, who do not know Christ. He died for them. May they repent, and therefore be able to come into His Kingdom. UPDATE: My Twitter account was SUSPENDED for criticizing the MET GALA. This was a lot worse than I first knew. I am deeply offended that Jews subsidized this. No other religions represented,not an ecumenical event then,not surprising the total disrespect of the Catholic Faith,astounding a Cardinal would take part and the items were supplied by the Vatican ,nothing is sacred everything is up for sale with these people. Your photograph of the church in Africa reminds us that the Gospel is loved in the poorest of places. This is humbling and very moving. 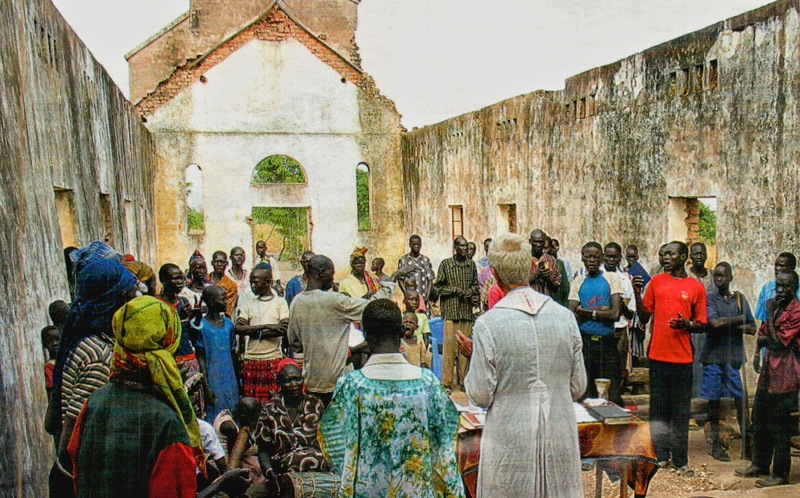 The church in Africa may yet save the West from its apostasy. We brought the Gospel to Africa and now Africa is bringing the Gospel to the West. Without the Gospel there is only barbarism. The next Saint Augustine may well emerge from out of Africa. The Met Gala was a disgrace. What was Cardinal Dolan thinking of when he agreed to attend? It shames all who watched or participated. Shroud of Turin Used To Create 3-D Copy of Jesus (2018). The Shroud and the Jew: Barrie Schwortz at TEDx. Studies in Augustine Spirituality - The Relevance of Augustine for Young Adults Today (The Rev. Theodore Tack, OSA). In the past, I have reserved my opinion of the Shroud. After all, the history of its provenance is completely unknown. If authentic, how could it have been kept secret for so long? But the more I read about the Shroud the more its mystery deepens at a number of levels. Even if non-authentic, it still poses difficult questions for scientific research. In the first video (Shroud of Turin Used to Create 3-D Copy of Jesus) we learn from medical research that the man whose image is imprinted on the cloth, received 600 blows and had 370 wounds from flagellation on his torso. His right shoulder was severely dislocated. The man was just under five feet eleven inches in height and possessed what an informed observer calls a regal bearing. Whether or not this is the actual burial cloth of the Lord Jesus Christ may never be known. But contemplating the Shroud as an image of Calvary is profitable for our sinful souls. The Met Gala participants should ponder it and repent. And thank you for recommending Dom Chauturd's book, 'The Soul of the Apostolate'. My school in Glasgow (Scotland) was named after Saint Pope Pius X.
I’m reminded of Matthew 7:6-"Do not give dogs what is holy; and do not throw your pearls before swine, lest they trample them under foot and turn to attack you. May I go 'off topic' by recommending some other YouTube videos on the Shroud? 1) A Particle Physicist Looks at the Turin Shroud. 2) Isabel Piczek - Why the Shroud of Turin Cannot Be A Painting. 3) Proof that the Shroud of Turin is the Burial Cloth of Jesus Christ (Vatican Catholic). 3) Science Explains Shroud Image (Good Shepherd Film Productions). 4) What CNN'S 'Finding Jesus' didn't say about the Shroud of Turin (Pray Manuscript). 5) Acta Pilate: Pilate's Report to Caesar of the Crucifixion. 1) Eyewitness to Jesus (Abrahamic Faith). This film features the New Testament scholar, Professor Graham Stanton of King's College, London. 2) Sister Mary Catherine Alexander: Jewish Convert to Roman Catholicism (Bill O'Donnell October 30 2013). 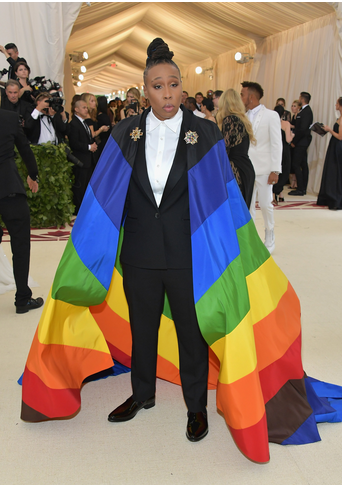 In my criticism of the Met Gala I was not being sanctimonious. At times we all listen to the world and the world's beguiling lies. Prayer, repentance and worship bring us back to the central event of our faith - the Passion, Death and Resurrection of Jesus Christ, true God and true man. God will not be mocked, Saint Paul said. 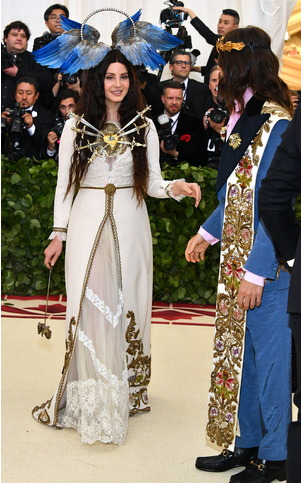 The Met Gala mocked Jesus Christ and His Gospel. 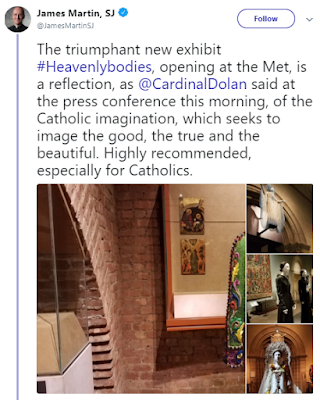 The Vortex (Church Militant) has an online article calling Cardinal Dolan to account for his attendance. Can anyone imagine Bishop Fulton Sheen attending such an evil travesty? Or Mother Teresa, or Mother Angelika? Those who attended the Met Gala have grieved the Holy Spirit by their blasphemy. Catholics who attended have sinned more grievously than the pagans. Now they must repent, and do so publicly. They will need to stand before the Cross and ask for Christ's gracious pardon. They will need to assure the Church that they will never participate in such an event again. Continual repentance is at the heart of our Christian faith. As John Piper said, the blessed in Heaven will be praising the Lamb of God. May the blood of Christ bring us to eternal life. Možda je ovo posljednji put, na ovoj zemlji, da te pozdravljam, Marijo. Ja bih ti želio dati sav svoj mladenački osjećaj ljubavi. Ja bih želio umrijeti s tvojim imenom na svojim usnama! dopustit će da prime s tvojih usana tvoj zagrljaj, božanska Majko. Unaokolo mene potpuna je tama. A mije li borba stvorila tamu u meni? jer sam ga primio u sebe danas u ranu zoru. Gdje je pak Isus, tamo moraš biti i ti. i tim dvostrukim štitom neću se nikoga bojati. neka i moja majka bude blagoslovljena od tebe. Umjesto nje, ti bdij nada mnom. Daj joj svoju snagu, o moja Majko. daj da budem i ja jedna u nizu nevinih duša. I BLAGOSLOVLJEN PLOD UTROBE TVOJE ISUS. kao što su danas pali da ubijaju i sam zakon ljubavi svoje. kad nas kosa smrti jednim zamahom pokosi. da nas što brže proguta. Čuj vapaj pouzdanja i nade koje ti šalje naša duša. Što ne može učiniti za svoga sina jedna majka?! I kad se znade da je taj Sin sam Bog. radi naše ljubavi, ta će riječ biti uslišana. nevolju i pomozi nam u paklu grijeha. Sada...ja zastajem, srce moje lupa. neka nas mlitavost u radu ne ponizi. Tebi je poznat taj čas. da primiš naš posljednji uzdisaj. silno brzo kroz nesnosnu tamu. slijedi tvoj sjajan trag do neba. daj da se probudim posve blizu tebe. Marijo, daj da mi se to ispuni kako Ti želiš. Neka bude tako i kroz cijelu vječnost. Keep bashing Roman Catholics who hold the sedevacantist opinion...looks like it's working out well for you all. So saddened by Cardinal Dolan's attendance and approval of this event.